I am a contemporary art glass blower, designer and sculptor. Each piece is hand blown to perfection. 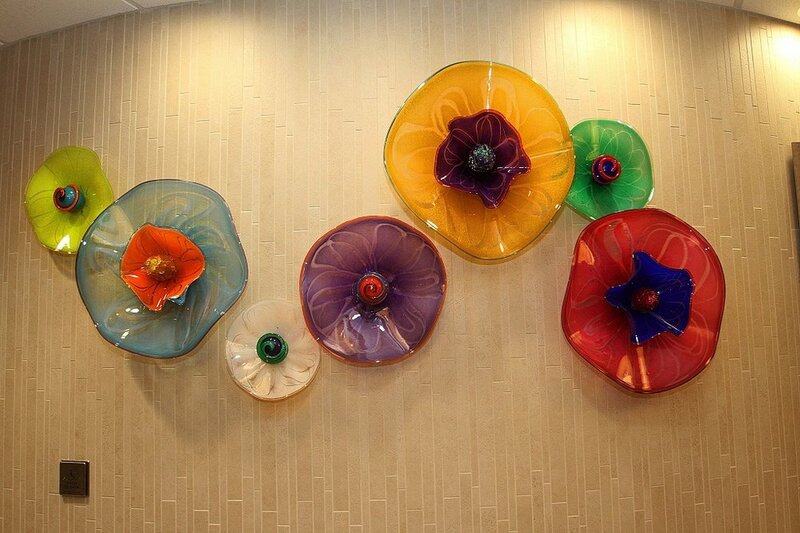 My original glass wall sculptures are vibrant, colorful and organic in shape. I create signature glass wall sculptures at the highest quality for all purposes including residential homes, gardens, offices, hospitals, hotels and corporations. The unique shapes used in my glass work are portrayed as warm and inviting. The glass wall sculptures highlight any space you can envision and look beautiful hanging in a variety of ways. My glass sculptures are suitable for indoor or outdoor wall art. Using a combination of glass and metal makes Stan Megdall Glass stand out. The two mediums of glass and metal give strength to the pieces for both interior and exterior applications. The fluidity of design and the master of color technique that I use are unique to my work. I am part of the healing arts program and collaborate with health care art consultants and hospitals. I work directly with clients, architects and interior designers to create site-specific installations glass wall sculptures. I work one-on-one with customers to create work in a variety of colors. I will come to your home or location to help design what you envision. I am passionate about my work and am dedicated to create the perfect design for each customer I work with. Please contact me for purchase information and to consult on custom projects to fit your design needs. Sign up with your email address to receive news and we’ll keep you posted on all our news, products, events and shows! Thanks for your interest- We respect your privacy.